We aspire to be the company that provides you with comfort, control, and confidence in your indoor spaces, no matter where you are in the world. Our mission is to empower you with the knowledge, motivation, and confidence to be healthy and thrive in your environment. We design and build products that complement you and your home or office, while equipping you with insights and personalized solutions. 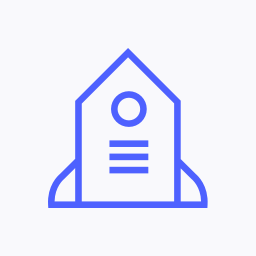 Though we build technology, our products shouldn’t feel like technology. Our products enable you to have pride in all aspects of your environment. At Awair, our mission is to empower you with the knowledge, motivation, and confidence to be healthy and thrive in your surroundings. 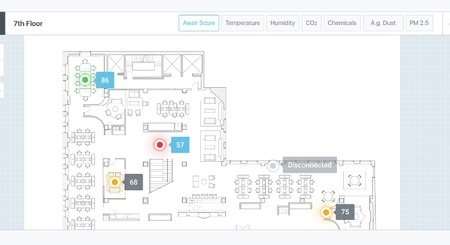 Awair's products and experiences are designed to track and improve your indoor air quality, helping to create optimal environments for your home, office and other spaces. 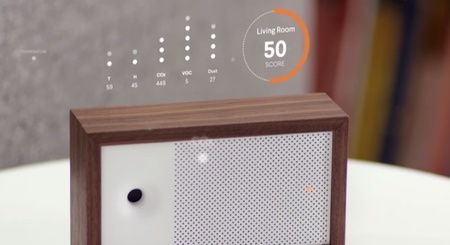 The goal is to fundamentally change how we design, build, and manage our living spaces. 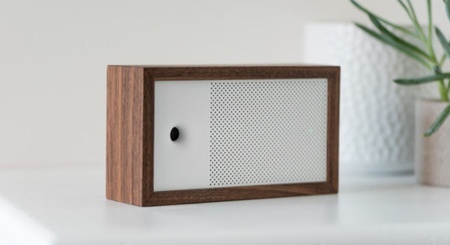 Our first product, Awair, tracks chemicals and toxins in your air and gives you personalized recommendations to help you keep it clean and safe. 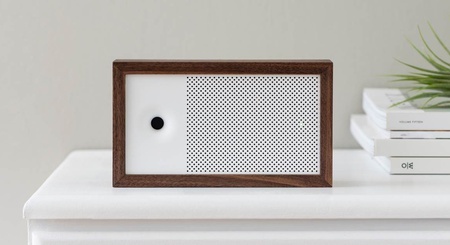 Whether you suffer from allergies, asthma, eczema, bad sleep or you just want to keep your air clean and safe, Awair equips you with what you need to take control of your environment. 로켓펀치에 가입하고 어웨어를 소개받을 수 있는 지인을 찾아보세요. 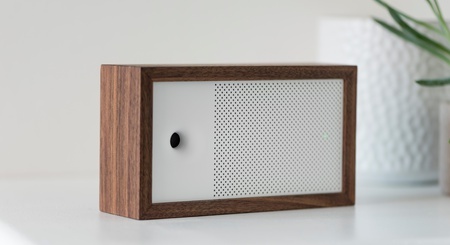 Bitfinder chief executive and cofounder Ronald Ro found inspiration for his smart air quality monitor from his daughter. 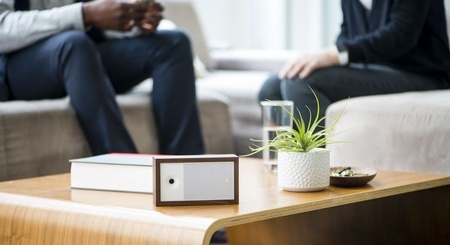 Awair is a gadget that breathes the air you breathe and gives you constant reports and suggestions based on what it detects. 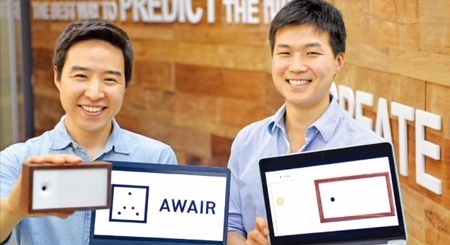 Bitfinder's Awair device and app are designed to detect any air-quality red flags, alert you and suggest areas for improvement. 어웨어는 좋은 기업인가요? 추천해 보세요. 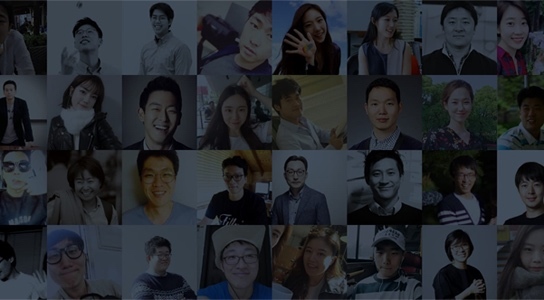 테크 스타트업 전문 엑셀러레이터이자, 국내 유일 기술 중심 컴퍼니 빌더입니다. 로켓펀치에 가입하고 어웨어에 대해 더 많은 정보를 찾아보세요!